Insertion of a needle followed by taking away a sample bone tissue. Local anesthesia is normally given. 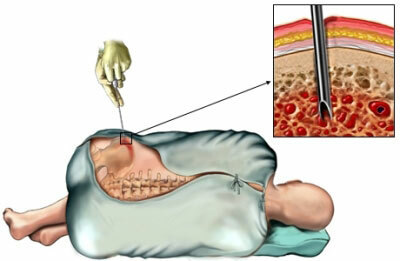 An incision is made and the associated portion of the bone is exposed. From the exposed area, a bit is taken away for detailed investigation. Medicines are used to numb the area where the procedure is performed. It is relatively easy to perform bone biopsy in areas that are closest to the skin or away from the internal organs.